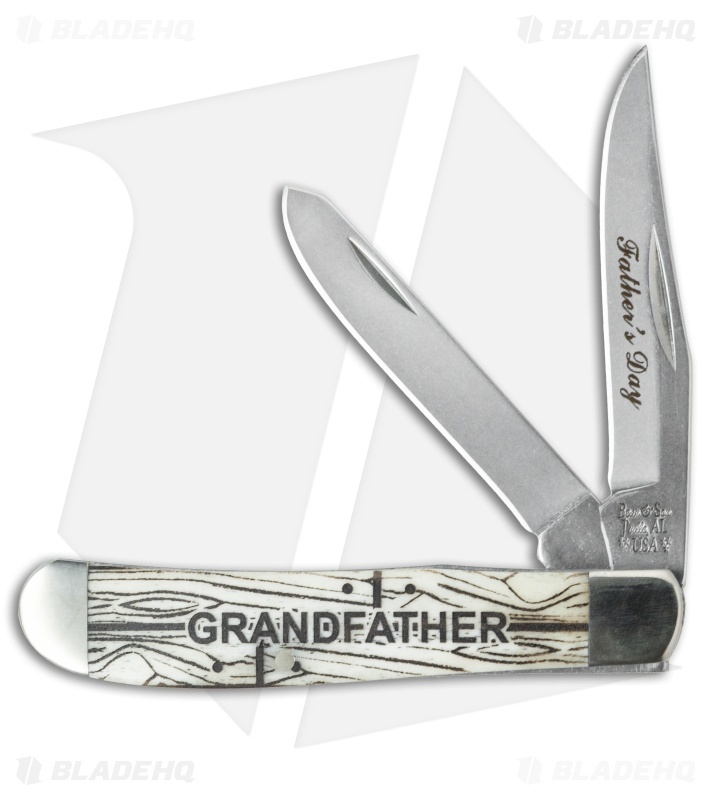 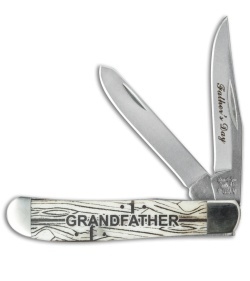 The 2015 special edition Mini Trapper from Bear & Son Cutlery is the perfect gift for your grandfather. 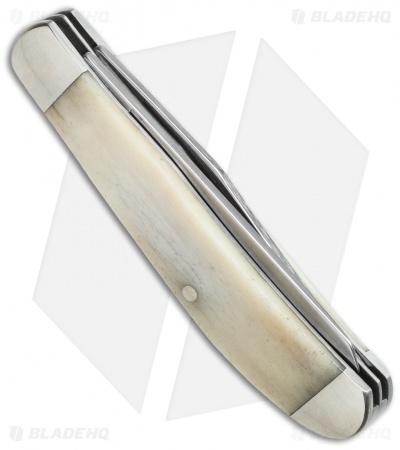 This fine pocket knife features elegant smooth bone handles with a scrimshaw engraved front scale. 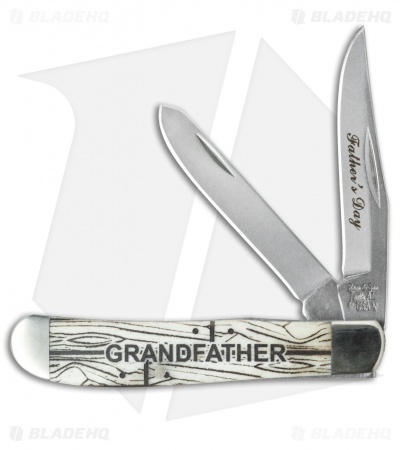 This 3.5" model has nickel silver bolsters and hollow ground 440 stainless steel clip and spey blades.